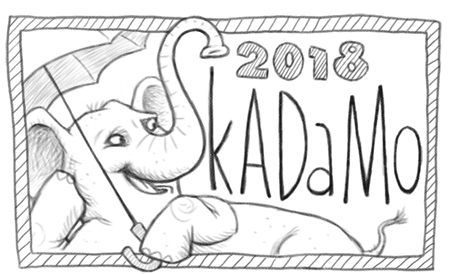 As is usually the case, I am announcing the SkADaMo sketch challenge at the very last minute. Why mess with tradition, right? 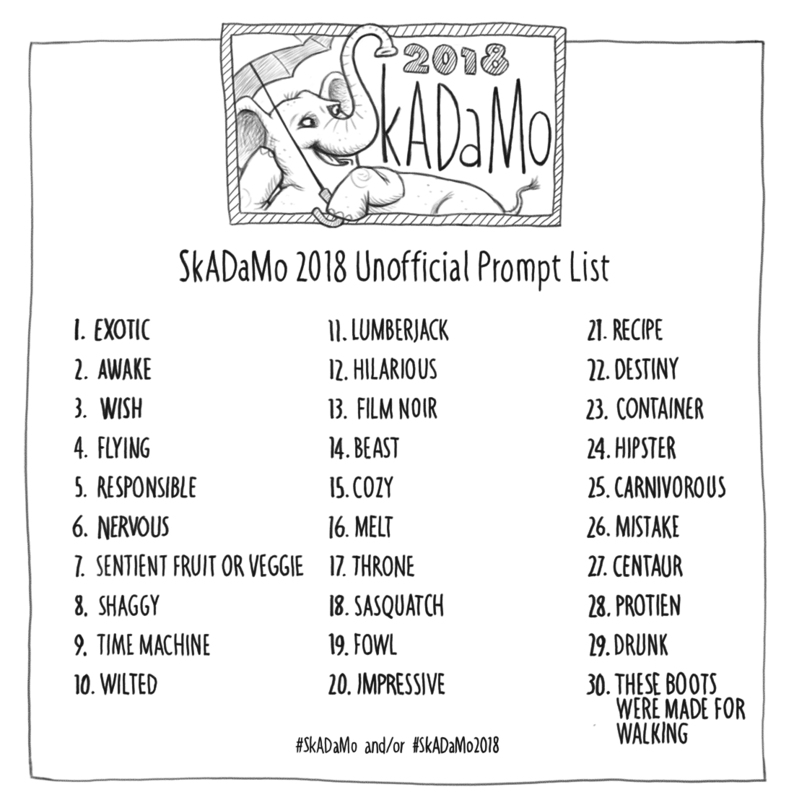 So, I started this challenge back in 2011 as more of a personal challenge and gave it the name SkADaMo as a spoof on all the other funny November challenge acronyms such as NaNoWriMo (National Novel Writing Month), NaBloPoMo (National Blog Posting Month) and, what used to be a November challenge PiBoIdMo (Picture Book Idea Month), now Storystorm, which now takes place in January. I even jokingly made a badge, thinking I would be the only participant. But lo and behold, several other wonderful artists, doodlers and sketchers threw their hats, or pencils into the mix. So please feel free to join in again or for the first time this year. 1. THERE ARE NO RULES. NO SIGN UP. NO REGISTRATION. NO GIVEAWAYS OR GUEST POSTERS. No regulations, themes, websites or anything else resembling organization. Just lots of sketching, camaraderie and hopefully a ton of inspiration and craft honing! Oh, I did throw together a list of prompts this year, as you may have noticed above. Please use them if you have a mind to. SkADaMoers are scoff-laws and Mavricks! (Actually, the truth is I’m just not that organized. Did I mention that?) The only code we live by this month is SKETCH! SKETCH! SKETCH! Sketch everyday from November 1 to November 30, or at least try to. Even if you’re unable to sketch every single day, by golly you will have tried and you’ll have more sketches in your sketchbook at the end of November than you might have otherwise. So, there’s that! 3. Grab one of these badges, below, if you’d like and use it as you see fit. 4. Most important rule of all… Enjoy! This is fun! I love it when people are inspired to be punny and engage in word play. I feel the absurd and goofy just might save the world! We don’t always know our own strength. 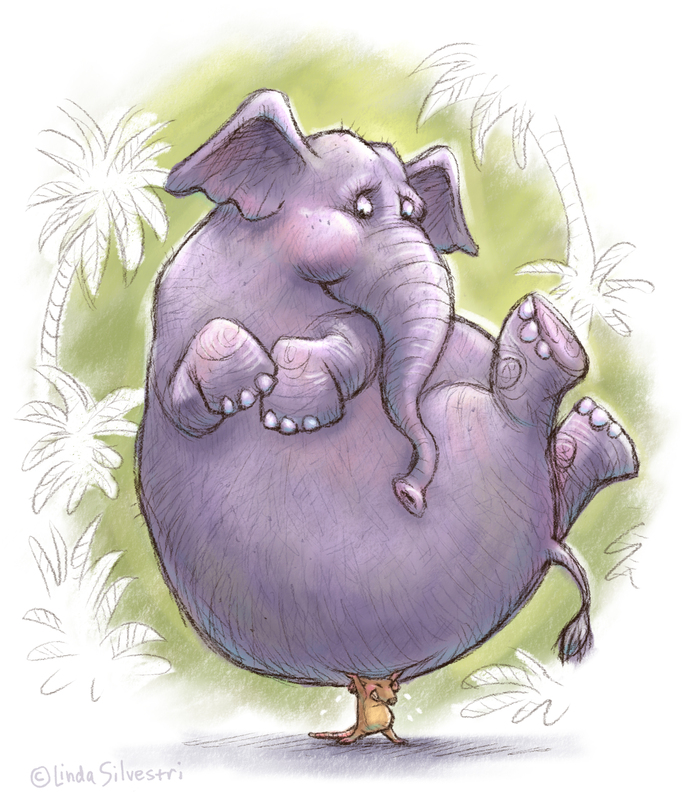 The Illustration Friday theme of the week is “strong.” So I thought of the obvious choice. 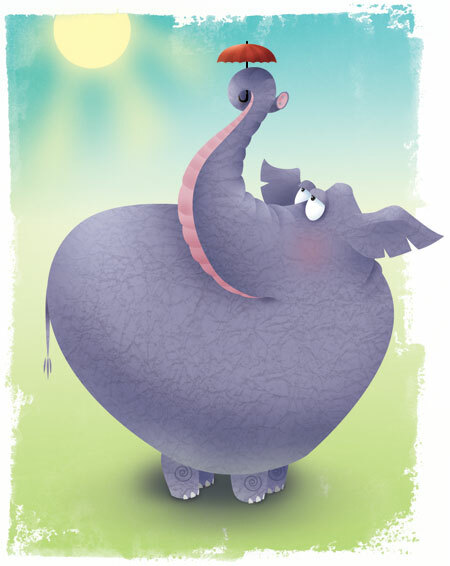 A mouse holding up an elephant… duh. 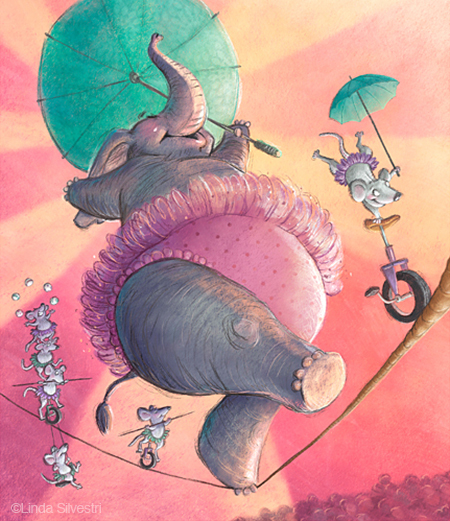 … although a repeat performance may depend quite heavily on the tightrope’s tensile strength. 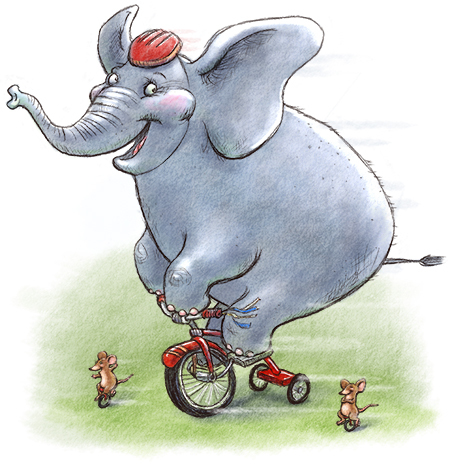 Squeaking an “Illustration Friday” in! Two posts in one day! What the heck is going on? 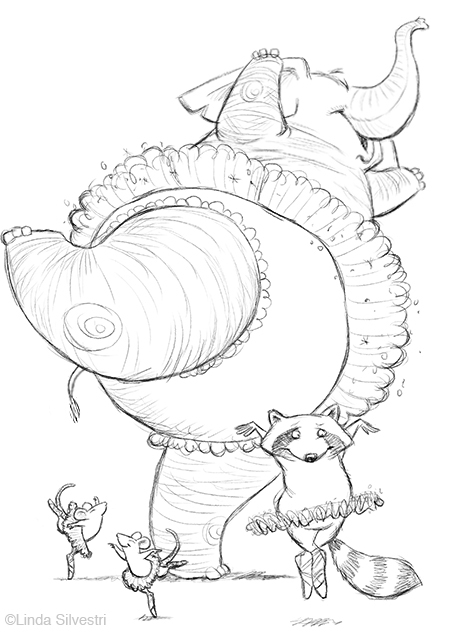 …and sweat is causing me to smudge my sketches, sooooo… once again I am reposting an earlier drawing. This one reminds me that I need to break down and carry an umbrella with me when I walk at lunch, to protect me from the relentless sun. Of course, I should probably invest in one a tad larger. Try to keep cool everyone!